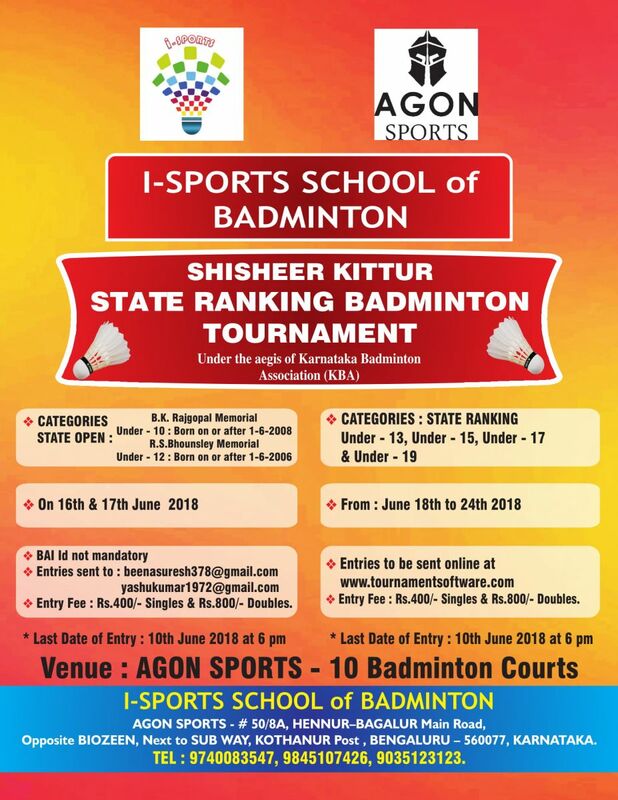 AGON SPORTS AND I-SPORTS IS CONDUCTING A STATE RANKING BADMINTON TOURNAMENT ON JUNE 16TH TO JUNE 24TH 2018 FOR UNDER 10, 12, 13, 15, 17, 19. We spread the sports FEVER to stay HEALTHY! Want to have fun and stay healthy? Here is a chance to burn approximately 250 to 400 calories/hour by playing Badminton or swimming. Pay for what you Play. No Fat Membership fees to get access.